Results of a recent reader survey indicated that folks are interested in hearing more from other homeschoolers. As a result, I am working on a series called Homeschool Voices: A Series of Personal Stories. This is the second post in the series. Today, I would like to welcome Shelly Sangrey from There’s No Place Like Home. I want to thank Shelly for sharing her family with us today. 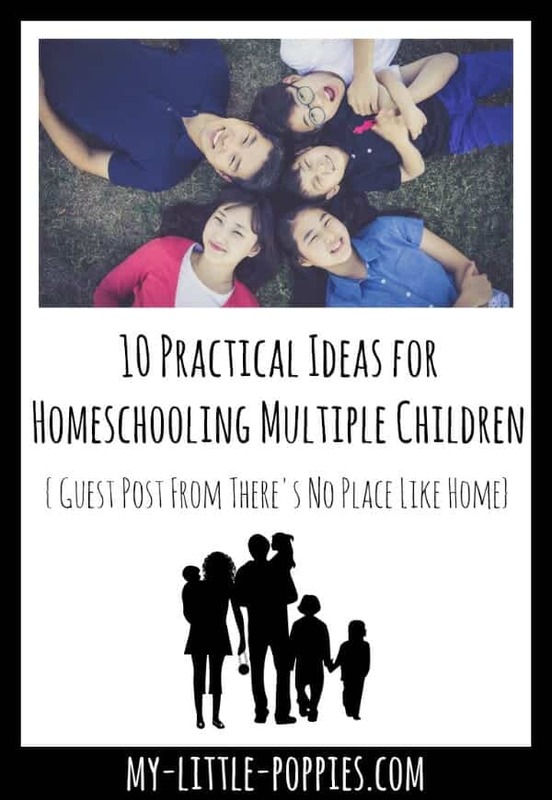 Shelly is a homeschool mom of eleven children and today she’s here to share encouragement and practical suggestions for those who are homeschooling multiple children. One of the greatest, yet scariest, undertakings can be that of homeschooling multiple children. The sheer idea of trying to keep things under control in order to educate in an already hectic house can seem petrifying and sometimes downright impossible. The most important thing to remember in this endeavor is that homeschooling does not have to look like school. It’s true that to some families, it may look just like school, but in my own experience, I’ve found that when it comes to homeschooling larger families, it can be stressful and even disastrous to attempt to replicate a traditional school environment. 1. Focus on the 3 R’s. This may seem like a blasphemous concept to some, but hear me out on this. We live in an age filled with information. You just can’t escape from it. As long as your children are living full and engaging lives, I assure you they are learning every minute they are awake. It is with this knowledge in mind that I came to this conclusion. Reading, writing, and arithmetic are essential skills to have in the adult world. Learning these skills in an in-depth and meaningful way from childhood on up can only contribute to everything else that’s been absorbed by simply living life. 2. Engage in Family Read-Alouds. I am a huge believer in reading to kids of all ages. There’s just nothing like sitting down with your kids and a good book, snuggling up in a blanket, drinking some hot cocoa, and enjoying a story together. I stand firmly in the notion that these shared family times are not only wonderful bonding experiences, but they are amazing learning experiences as well. 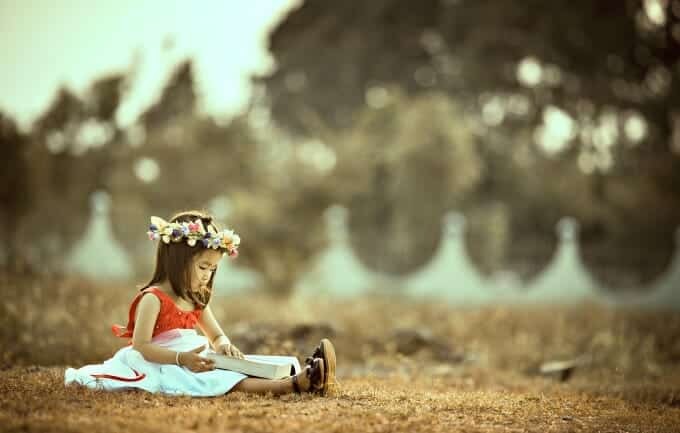 When choosing a book to share with your children, keep in mind their interests, their ages, and what you hope for them to learn. Young children are not confined to Dr. Seuss and older children are not confined to Dante. There is such an abundance of “happy medium” books out there, it would be a miracle for you not to find something suitable. My children, who range in age from preschooler to high school age, loved listening to the Little House, Percy Jackson, and Harry Potter series, among many others. This isn’t just story time for our children- it’s learning time. Little House sparked an interest in churning butter, spelling bees, and pioneer history. Percy Jackson added to my children’s pre-existing love of Greek mythology and was an awesome lesson in U.S. geography. Harry Potter inspired a curiosity about Great Britain and compelled my kids to make their own wands using branches from our yard. Every book is a lesson. Remember that. 3. Take Advantage of Unit Studies. I’m being completely honest when I tell you that unit studies saved our homeschool. Seriously. Not only are unit studies cross-curricular, but they are designed to cover multiple age levels. Depending on which unit studies you choose, some may cover grades K through 3, while others cover K all the way through 8th grade. In fact, I have actually tweaked our current unit study to include my 16-year-old son. That’s one of the beauties of homeschooling. The instructions for using a curriculum are not set in stone. Use them as they suit you. No one knows your family better than you. It can be tempting to try to keep your kids together for every subject in order to save time, but this is a mistake. Every child can benefit from one-on-one time, whether it’s to get some needed help with a tricky subject or simply to have that quiet time with you. Every morning before we begin our unit study, I do this with each of my children for language arts and math. Since these are the only subjects we do separately, I’ve found that it’s beneficial for us to use this time for me to focus on one child at a time. While the other children are waiting their turn, they do their silent reading and work on writing prompts. 5. Keep Your Lessons Short. As an adult, I can get pretty bored and have trouble concentrating when expected to sit for long periods of time. Imagine how much harder this can be for a child. Because of this, our language arts and math lessons typically last between 10 and 30 minutes each. Sometimes less. I’ve found with my children that they are better able to grasp concepts within the first few minutes of sitting down with me. Anything after that is a struggle, and, frankly, not worth the effort. Taking this into consideration was a huge weight off of my shoulders. Spending 30 minutes alone per child is much more doable than 90 minutes each. 6. Do Lots of Hands-On Activities. For me, “hands-on” can mean activities as simple as baking, playing board games, finger painting, making homemade clay, and making a picture book. Ask your kids for ideas. You’ll be surprised at what they come up with and how easily you can tailor it for all your age groups. And remember, children don’t need things to be fancy in order to learn. Anything that keeps their hands moving and their minds working is a boon in my book! Most children love, love, love being outside. There’s just something about the fresh air, the sound of birds chirping, and being surrounded by green that opens the senses in a way that nothing else can. And nature doesn’t give a hoot about age groups! Let your kids run free at a creek, and you’re sure to find your teenager beside your 5-year-old searching for tadpoles or trying to find a crayfish that went under a rock. The world around you can be one of the best multi-level curriculums you’ll ever come by. 8. Don’t Forget Visual Media. As your kids get older, they will gradually begin to do more and more things on their own. Although this may seem bittersweet, it’s something that has to happen in order for them to grow, and it will benefit your homeschool, too. Encourage them in this. Support them in any way you can. Not only is it a stepping stone for them towards adulthood, but it also means fewer kids to teach at one time. I do want to point out that it is very important to realize that most older children will need help at times. This is normal, and you shouldn’t discourage it. Give them the freedom to work independently in the areas they feel confident in, while making yourself available for those subjects they prefer to work beside you. 10. Be Open to Grouping Your Kids. 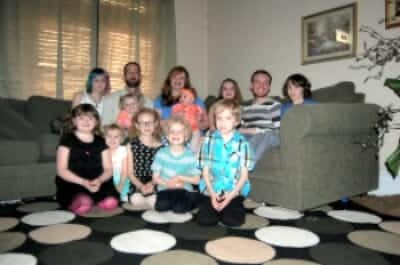 There are large families, and then there are LARGE FAMILIES. My own falls into the second category. 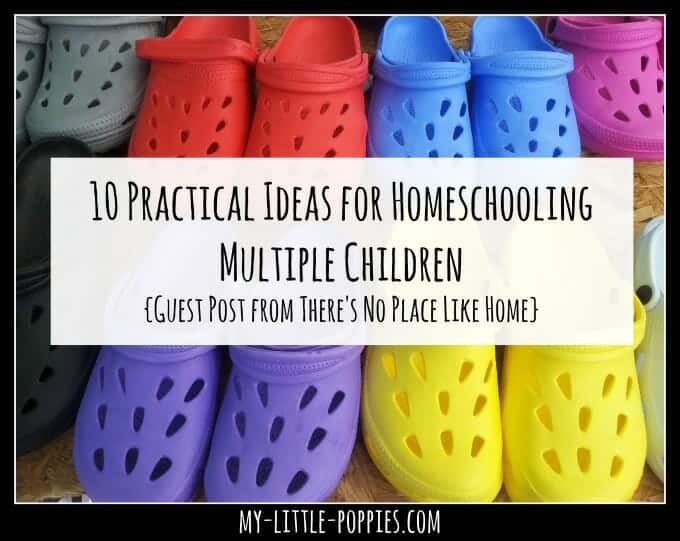 This year I am homeschooling ten children, and I’ve found that with a family our size, it has been easiest to put my kids into three separate groups- the Littles (ages 3, 5, 6, and 8), the Middles (ages 9, 11, and 12), and the Teens (ages 14, 16, and 17). I’ve found it makes things much more manageable, especially with our unit studies. Although the resource we use could be used up through 8th grade, I do use a different unit study for the Littles because I think it’s a better fit, and it’s easier to keep things organized with three small groups versus one big group. Only you know what will work best for your family. Trust your instincts. Homeschooling multiple ages holds so many benefits not only for the children but for the family, as well. It’s amazing what can be done when you put your mind to it! Now, it’s your turn. Tell me: Are you homeschooling multiple children? What are your favorite strategies? Share here! Great tips Shelly. My family is far from large but I know many are finding this a struggle. Your site is a great place to start in order to find encouragement. Thanks for sharing! I wasn’t a fan of home-schooling when I first started teaching. But as I began to meet moms who did home-school my opinion changed drastically, the planning and time it takes-they’re just like us….hats off ladies! I love this, Becky. Thanks!